A RACE-HATE thug has been ordered to address his drinking after a boozed-up attack on a policeman. Handcuffed and languishing in the back of a police car, Paul Grainger used both feet to kick the officer in a violent outburst. The drunken attack came just months after the 42-year-old was released from jail following a spate of race-hate crimes. He was once caught on camera trying to kick in the door of a mosque in Newcastle’s West End as he brandished a Union flag and St George’s Cross. With his pet bulldog in tow, he hurled abuse at the 400 Muslims inside, who were praying on the holiest night of the Islamic calendar. Another time he was seen to follow a black man, telling him: “Go back to your own country. Newcastle is for whites,” before spitting at his victim. Months later, on Blackett Street, Newcastle, he abused several African men leading to a four-month jail sentence in January last year. Now the thug has turned his anger on the authorities. Newcastle magistrates heard how officers were called to Summerhill House hostel on Westmorland Road, Elswick, Newcastle, where Grainger was found drunk and out of control late on March 29. David Thompson, prosecuting, told how when police attempted to restrain him, he became “verbally abusive” before his behaviour descended into violence. “He was arrested and placed in the rear of a police vehicle,” Mr Thompson said. 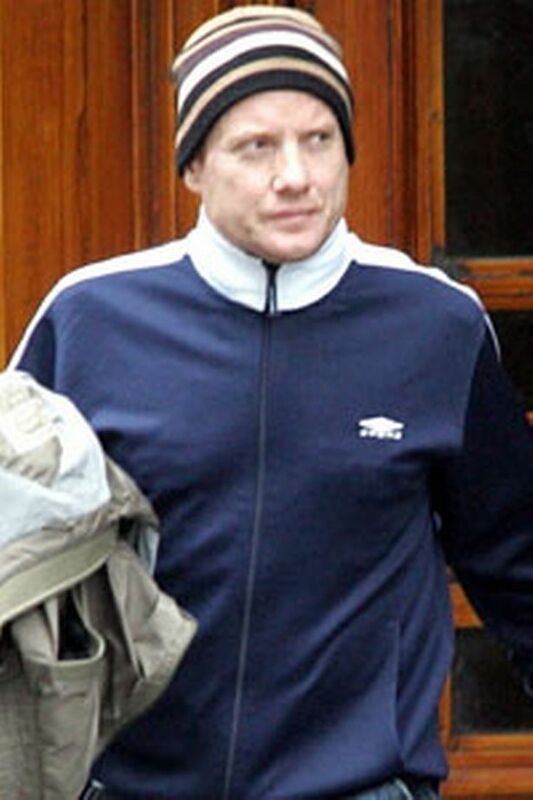 Grainger, who resides at Summerhill House, has now been ordered to undergo treatment for alcoholism. He was also told to pay £50 compensation to the injured officer and given a 12-month community order after pleading guilty to charges of assaulting a police officer and being drunk and disorderly. 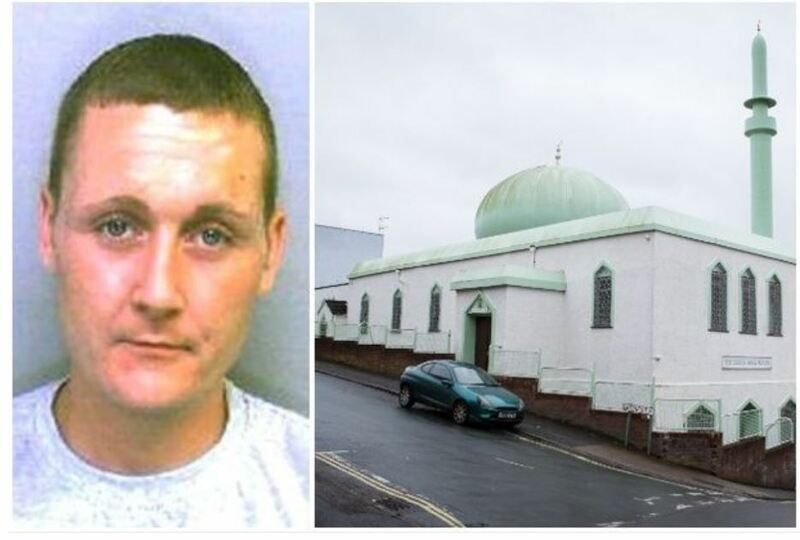 A prisoner who was serving time for putting bacon on the door handles of a Bristol mosque died after a drug overdose, it has been revealed. Kevin ‘Bunny’ Crehan was five-months into his year-long sentence in Horfield Prison when he was discovered dead in his cell. Emergency services were called to the prison on December 27, 2016 after he was found unresponsive. Files from the police and a post-mortem report have now been completed after several pre-inquest reviews. A full inquest will begin on Monday, December 3, and is expected to last more than two weeks. That means it will be nearly two years before his family finds out how the 35-year-old from Knowle West came by his death. A post mortem examination heard he had died of a suspected overdose of methadone, a common drug used as a strong painkiller and as a substitute for heroin. The court was told he had been admitted to hospital while serving his term following a drug overdose. After he recovered, he was sent back behind bars, but was found dead in his cell shortly after. A police investigation has now been completed, and they are not treating it as suspicious at this time. Why was he in prison? Crehan had been jailed in July 2016 after pleading guilty to an attack on the Jamia mosque in Totterdown in January 2016. The ‘protest’ saw bacon being placed on door handles, a St George flag tied to the fence and abuse shouted at two elderly people. Together with three others, the far-right group were charged in court. Crehan was jailed for a year while Mark Bennett, 48, from Patchway, was sentenced to nine months in prison. His wife, Alison, 46, was given a six-month suspended sentence for her involvement and Angela Swales, 31, from Brislington, was given a four-month suspended jail term. The judge who jailed Crehan said he had taken into account the 35-year-old’s history of convictions, including football-related violence. The group has also been given restraining orders banning them from going within 100 metres of a mosque anywhere in England or Wales for 10 years. In his summing up, Judge Julian Lambert called it “an attack on England and the principles of freedom of religion”. Since Crehan died nearly 18 months ago, there has been mounting speculation about the circumstances surrounding his death. And while police dismissed it as “not suspicious”, it has not stopped several groups of people coming to Bristol to protest his death and sentence. The latest march took place in Bristol at the end of last month, with dozens joining the ‘Gays against Sharia’ march near Temple Meads. The Prison and Probation Ombudsman has confirmed a report into Crehan’s death has been concluded and passed to the coroner, although that is not expected to be made public until after the inquest. Sitting in front of Avon’s senior coroner Maria Voisin, the inquest will look into the circumstances surrounding Crehan’s death, including how and why he died. A thug who made a racist video threatening to slash Muslims and blow up mosques in the wake of two UK terrorist attacks was today jailed. 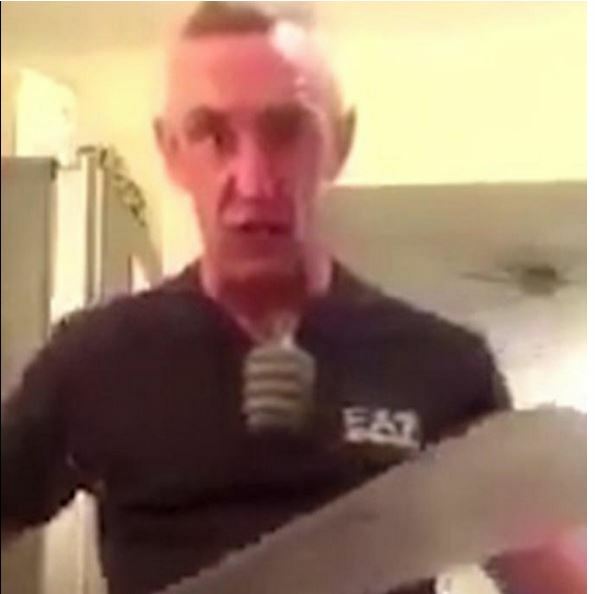 Paul Hepplestall filmed himself posing with a sword and a plastic grenade hanging from his t-shirt during the explicit rant. The hate video – recorded two weeks after the Manchester Arena bombing and the day after the London Bridge attack – went viral. The 40-year-old, of Cornwallis Street, Liverpool city centre, said: “This is a quick message to Muslims, p***s and terrorists, you can’t call yourself terrorists, cowards is what I want to call youse. “Yeah, you run in with bombs strapped to use and blow yourself up, where there’s a bunch of innocent kids. There is nothing terrorising about that. “Let me tell you, I will get people to run in your mosques with pineapples [a reference to grenades, prosecutors said], blow your mosques off this f***ing planet. Trevor Parry-Jones, prosecuting, said he recorded and uploaded the “horrific video” some time on June 4 and, within hours, police forces across the country were receiving complaints. Muslim parents in Merseyside, Bristol, Newcastle, Scotland and as far away as Yemen told Liverpool Crown Court they feared for their safety. Hepplestall went on to make two more short videos, claiming the first one had just been a joke and saying he had friends in the ethnic community. Hepplestall was accused of using racially-aggravated, threatening language and threatening to destroy or damage property. He said Hepplestall, who knew someone at the concert and had been drunk, tried to “redress the balance” after being “completely moronic”. Mr Morgan said he had suffered three “savage attacks” in jail – the last leaving him permanently scarred – and his family had been threatened. Jailing him for 20 months, Judge Elizabeth Nicholls said: “On the 22nd of May of this year, a number of innocent people were killed and injured at the Manchester Arena due to the actions of a suicide bomber. “Manchester and the rest of the country were appalled by this atrocity. But Manchester’s response was to kick back at the fear and hatred intended by this act, and (come) together. “Those of any faith or no faith stood shoulder-to-shoulder in condemning the act and supporting each other. It was a community brought together. “A second terror attack occurred on the 3rd of June. This time in London but, again, the reaction was one that people can rightly be proud. “People looked for a commonality, shared interests, provided support, and as one voice condemned the action. Judge Nicholls said his video caused “fear, anger and distress” to Muslims across the world. She said: “They all believed you capable of carrying out the atrocities that you speak of. “Many have children and describe their fear that they and their children may be attacked as they go about their everyday business. “And, although it was obvious to them that you came from Liverpool, all were concerned as to the demons you may unleash in others. “This video is offensive and obscene to any right-minded person, regardless of their belief system. It is unacceptable, not only because it is contrary to the law, but it is contrary to the standard we expect from anyone who lives in a civilised community. The judge said the offence was “possibly the worse example of its kind”. Two men have pleaded guilty to racially-aggravated hate crimes after pork was smeared on the door of a mosque. CCTV footage showed 28-year-old Jamie Mullins urinating on the outside of Five Ways Centre in Sherwood, which is used for Islamic prayer, while wearing a football shirt, drinking from a can of beer and carrying a St George’s flag. He then smeared the pork sausage meat on the mosque. Mullins admitted two charges – one of racially or religiously aggravated harassment, alarm or distress, and one of racially or religiously aggravated criminal damage . 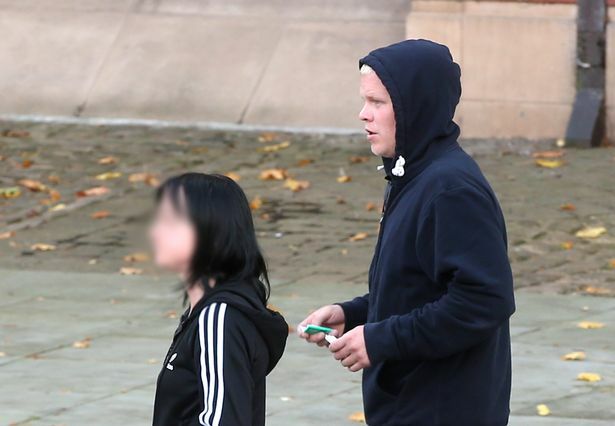 Mathew Sarsfield, of Daybrook, said he felt “ashamed” after watching the CCTV, and admitted one charge of causing racially or religiously aggravated harassment, alarm or distress. The court sent away Mullins, of Palmerston Gardens, St Ann’s, for a report to be made, with sentencing expected this afternoon, but Sarsfield was given fines totalling £230, and branded an “idiot” by presiding magistrate Paul Ensor at Nottingham Magistrates’ Court . Neil Fawcett, prosecuting, said the crimes happened in the aftermath of the “horrific events in London, including the attack on Finsbury Park Mosque, so that was playing on the mind of Dr Mughal, who was inside the mosque”. In the early hours of June 18, during Ramadan, the pair had been watching a boxing match, and said in a police interview that they were “feeling patriotic”. A worshipper leaving the mosque before the meat was smeared noticed two men loitering, and was so concerned that he watched the CCTV on his phone. He contacted Dr Nughal, who was still inside the mosque, who then called 999. The court heard that Sarsfield, who was representing himself, played a lesser part in the events. Mr Ensor said: “You’re an idiot, if you had walked away you would not be here, if you had taken control and said (to Mullins) ‘what do you think you’re doing’ then that would have been fine. “But you stood there and were complicit in his actions. You did next to nothing other than be there and take a selfie. He then motioned at his father, who was in the public gallery. The magistrate then said: “I know what I would be saying if I was your dad, and it would not be ‘here you go son’. The court also heard that Sarsfield’s Facebook account was searched by police in the investigation into the crime. Mr Fawcett said Sarsfield had shared posts from groups including the English Defence League, including lines such as “It’s not racist to love your people”, “Islam is on the rise, time to kick it back to the stone ages where it came from before it’s too late,” and “This isn’t immigration it’s an invasion”. A motorcyclist threw bacon on vehicles outside a mosque because he didn’t like the way he was told to be quiet by worshippers. Giulio Vines, from Milton Road, Cambridge was riding around outside with friends near Omar Faruque Mosque in Kirkwood Road in June when someone came out to speak to them. A few days later on June 8, Vines and his friends returned around 11.15pm. Vines had brought a pack of bacon from home. When worshippers praying during Ramadan left the mosque around 12.15am the next day, four cars were found with bacon on them. A Suzuki Bandit was caught on CCTV near the scene, which was then traced back to Vines. Ms Dyer said Vines claimed he had “nothing against Muslims” but that he “accepted bacon was offensive to Muslims”. Monica Lentin, defending, said: “Initially my client and his friends had gone out on their motorbikes in the vicinity of the mosque. They rode their bikes up and down. They didn’t go out looking for any trouble. “I think it’s accepted by people in the mosque that somebody came out. He [Vines] didn’t realise it was Ramadan. “He knew what he was doing but he didn’t fully appreciate the hurt and upset of the people whose cars he threw the bacon at,” said Ms Lentin. Vines admitted a charge of racially/religiously aggravated criminal damage. A further charge of criminal damage was dropped. The court heard that Vines later went to speak with two people from Omar Faruque Mosque, which the defence described as “an extremely constructive and very helpful discussion”. She told the court Vines was “a good worker” and that he had come “top of the class” in his apprenticeship. The bench told Vines: “We accept the defence’s version of events. It wasn’t hate crime. We believe this was an act of immaturity. 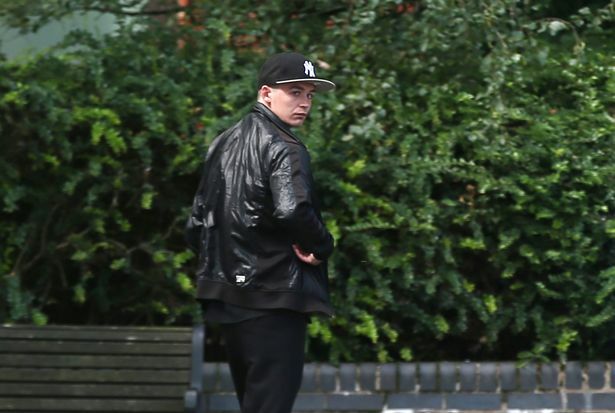 Vines received a 12-month conditional discharge and was ordered to pay £85 in costs, £25 compensation to each victim and a victim surcharge of £20. Two men have been jailed and two women have been given suspended sentences after rashers of bacon were tied to door handles at a Bristol mosque. During the incident on 17 January, the group shouted racial abuse at a member of the mosque and tied a St George’s flag to the fence of the Jamia Mosque. 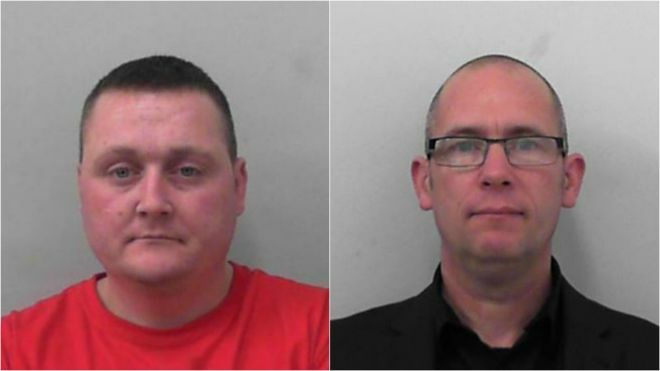 Kevin Crehan, 34, of Knowle, was jailed for 12 months and Mark Bennett, 48, of Patchway, for nine months. Both had admitted religiously aggravated public order offences. At the Bristol Crown Court hearing, 46-year-old Alison Bennett – the wife of Mark Bennett – was given a six-month sentence, suspended for two years, while Angelina Swales, 31, from Brislington, was handed a four-month sentence, suspended for two years. The two women also admitted religiously aggravated public order offences in relation to the targeting of the Totterdown mosque. All four were given a restraining order preventing them from going within 100m of a mosque anywhere in England or Wales for the next 10 years. Insp Nigel Colston of Avon and Somerset Police paid tribute to the way the community responded to what happened. He said: “The way local people came together with overwhelming support for the mosque made me proud to be associated with Bristol. “There can never be any excuse for hate crime in any shape or form and this criminality will not be tolerated. ONE OF the men who admits a racially aggravated attack on Totterdown’s mosque has claimed in court that he didn’t know that bacon was offensive to Muslims. Mark Bennett, 48, claimed he was not a racist and did not take bacon to the mosque in Green Street on January 17, 2016, intending to cause offence. Instead, he said, he was trying to raise awareness about the plight of British armed forces veterans and homeless people who he felt deserved more attention. Bennett, of Spruce Way, Patchway, his wife Alison Bennett, 46, Kevin Crehan, 34, of Springleaze, Knowle, and Angelina Margaret Swales, 31, of West Town Avenue, Brislington, have all pleaded guilty to a racially aggravated public order offence at the Jamia mosque. Bristol crown court was told on June 17 that during the incident racial abuse was shouted at a Muslim man attending the mosque. Raw bacon was thrown and left hanging from the mosque’s railings and an English flag, the cross of St George, was left on the steps with the legend “No mosques, no refugees”, the prosecution said. But the two men involved denied being racists, said there was no bacon thrown, and they did not hear any racial abuse. They claimed their protest was peaceful. Crehan said it was an attempt to get Muslims to “integrate”. “I grew up in Totterdown and I have got many, many Muslim friends,” he said. Bennett drew a parallel with charitable activities. “In my own time I go to the city centre and take coffee and bacon sandwiches to people who live on the streets,” he said. Judge Julian Lambert asked Bennett if he expected people at the mosque to eat his bacon sandwiches and be grateful for them. “No,” said Bennett. “Where was the bacon going to be cooked?” asked Mr Fenney. “It possibly could have been cooked in the mosque. I wouldn’t know, would I?” said Bennett. Bennett told the court he didn’t know the meaning of the word “jihad”. The court was also told that in 2008 Crehan racially abused an Asian police officer at Broadbury Road police station, after he was arrested at his home during a domestic disturbance. Crehan said he was high on alcohol and drugs at the time but had since given both up. Bennett was presented with several Facebook pages, posted in April 2016, in the name Marc Bennet, which contained offensive statements about Muslims and references to a recent attack on a mosque. Bennett said the pages were not his and suggested they had been created to frame him by left-wing activists. He agreed that he had previously had another Facebook page in the name Mark English. The four will be sentenced at another hearing on July 22, when the two women will be cross-examined. The attack on January 17 resulted in an outpouring of support for the Jamia mosque, the oldest in Bristol. Hundreds of people attended an open afternoon the following weekend, and hundreds more pledged their support for the mosque being at the heart of the Totterdown community.